This is just a reminder that GRIID is offer two new classes for the winter semester beginning the week of January 16. We still have space available for both classes, so join us for stimulating conversation and education that leads to action. On Mondays, beginning January 16, we are offering a class entitled Beyond a Rights-based Model: Radical LGBTQ Politics. 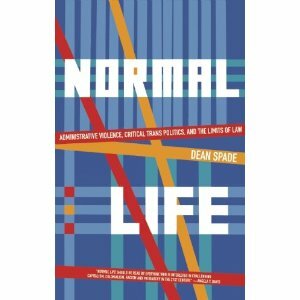 Using Dean Spade’s book, Normal Life: Administrative Violence, Critical Trans Politics and the Limits of Law, we will explore the limits of a rights-based approach to change and investigate a more systemic change focused organizing model. The class and book will emphasize contemporary LGBTQ organizing, but the analysis applies to any popular social justice movements. We will also use the analysis to assess what is happening in West Michigan around rights-based organizing. On Wednesdays, beginning January 18, we are offering the second class entitled, A History of US Policy Towards Native Americans. We will be using a variety of sources, but the main text for the class is, A Little Matter of Genocide: Holocaust and Denial in the Americas 1492 to the Present. 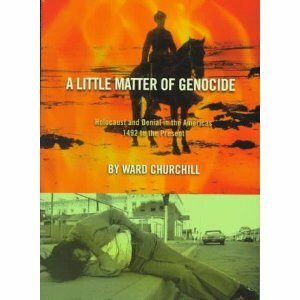 This book by native scholar Ward Churchill, provides well-sourced details of a genocidal policy that began with the European invasion of North America up until today. We will also explore the significance of this policy on a local level and what it means today in West Michigan. Both classes are 8 – weeks long and cost for each is $20, which doesn’t include the cost of the books. However, we welcome anyone even if they can’t afford the class. Classes will take place in one of the community rooms at the Steepletown Center located at 671 Davis NW in Grand Rapids. There are downloadable PDF documents for each class, which we encourage people to share. For more information contact Jeff Smith at jsmith@griid.org.